Discover our Digital Signage solutions from Philips. View the entire range here and see how we can help you today. Here is a sample of our Philips range of displays giving you a slight taste of what we have to offer. Philips multi touch - 43" 55" 65"
Get even closer to your audience than ever before. Fast, precise and extremely durable, its high performance is matched by excellent reliability and functionality. We recommend this touch screen for its reliability and its 3 year on-site warranty. A brand new level of interactivity is now available thanks to integrated touch technology. The Multi-Touch displays are enabled with automatic touch recognition. The USB connector is HID compliant, providing true plug-and-play operation. PHILIPS Q-LINE Series - 32" - 65"
Deliver startlingly clear images in a more eco-friendly way with the Q-Line display. High on performance and reliability, yet low on power consumption it is ideal for projects where no compromise is accepted. Mix and manage your content over multiple video input signals as USB, VGA, DVI and HDMI. Simply create one or more play lists with the scheduling function to be in control of your content 24 hours a day, 7 days a week. PHILIPS D-LINE Series - 32" - 65"
Amaze your guests with a smarter, faster, signage display. With integrated WiFi and designed running androad apps, it's the next evolution in signage solutions. Philips AMVA LED display uses an advanced multi-domain vertical alignment technology which gives you super-high static contrast ratios for extra vivid and bright images. While standard applications are handled with ease, it is especially suitable for graphical demanding applications. It's optimized pixel management technology gives you 178/178 degree extra wide viewing angle, resulting in crisp images. PHILIPS U-LINE Series - 75" - 98"
Experience your content like never before thanks to four times the resolution of a conventional display. This ultra large 84" display offers 3840 x 2160 pixels so refined, so lifelike its a window to a new world. PHILIPS E-LINE Series - 32" - 65"
Maximising your content delivery whilst lowering your TCO has never been so easy or stunning. 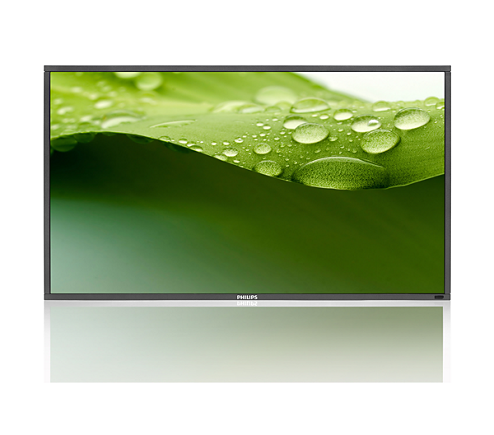 This range offers gorgeous full HD picture with lower power consumption perfect for menu boards. This display is also able to be safely and reliably mounted in portrait position. Perfect for menu boards and information boards. Our Philips range is recommended for the retail, hospitality, medical and education industry for its superior quality, functionality, pricing and warranties. Project pricing is available for all of our Philips range through Amped Digital.